Moscow’s actions need to be understood as part of a long-term campaign to weaken the United States—Russia’s main strategic competitor—and Washington’s relationship with key allies. During the Cold War, Moscow conducted a similarly aggressive campaign of “active measures” in the United States, not just overseas, including repeated attempts to influence U.S. elections. No doubt this is all true (as indeed were some of the accusations the Soviets made about their American enemies!). But in the first place, the modern Russian Federation is not the Soviet Union. And second, what these examples of Soviet ‘meddling’ all have in common is that none of them had any notable effect. Goldwater lost, but for very good domestic reasons, which had nothing to do with the Soviets. Meanwhile, Soviet attempts to elect Humphrey and defeat Reagan failed dismally. When one looks at the net impact of these ‘active measures’ one has to conclude that it was next to zero. Like a lot of sneaky-beaky Cold War spy stuff, it was completely pointless. This doesn’t stop Jones from commenting that contemporary Russian ‘meddling’, like its Soviet counterpart, ‘represents a serious threat to U.S. national security.’ ‘U.S. enemies are not just at the gate, they are inside it. Americans need to put aside party policies and confront these threats to freedom and democracy,’ he concludes. Never again would Caro have to equivocate, “No one will ever be sure if Lyndon Johnson stole it.” Now, in [his book] “Working,” he writes yet another definitive sentence: He stole it. Electoral corruption takes rather different forms nowadays. Corporate lobbying, gerrymandering, voter suppression, and the like are far more common than ballot stuffing LBJ-style. But regardless of the form these abuses take, the idea that we have some type of pristine process which is pure and ‘democratic’ until defiled by ‘foreign meddling’ is rather naïve. That doesn’t mean, of course, that we shouldn’t be doing all we can to make matters better, or that we shouldn’t be wary of things which might make them worse. But in doing the latter, we need to keep a sense of proportion and not to over-idealize existing systems or over-exaggerate the scale of the dangers. The likes of Timothy Snyder would have us believe that democracy is on the verge of collapsing into tyranny. In reality, the choices are between various forms of democratic imperfection. Some are better than others, but all are inevitably flawed. A little bit more imperfection here and there isn’t the end of the world. That scares the hell out of hardliners who believe that any peaceful settlement of the war in Donbass would inevitably involve some sort of surrender to Russia. Poroshenko’s supporters thus view Zelensky’s coming triumph far more pessimistically. Poroshenko has been resolute in his refusal to make the concessions necessary to bring peace to Donbass; he has approved numerous nationalist projects, such as laws restricting the use of the Russian language in the media and education, and the decommunization law; and he struck a blow at the Moscow Patriarchate by negotiating the formation of a new Orthodox Church of Ukraine. Zelensky, it is feared, will not be so reliable. Both the optimists and the pessimists share the assumption that Zelensky may help bring peace to Ukraine by softening the tough line taken up to now by President Poroshenko; they just differ in their opinion as to whether that’s a good thing. The problem with this assumption is that it’s not exactly reliable. A common solution to civil conflicts is some sort of power sharing system. This can involve mechanisms to guarantee that minorities are represented in central government structures (e.g. Lebanon and Northern Ireland) or some sort of federalization or confederalization of the country in question (e.g. Bosnia-Herzegovina). These mechanisms have definite disadvantages (for instance, they entrench the divisions which caused conflict in the political system), but in general people consider the price to be one worth paying for peace. In Ukraine’s case, it has long been obvious that the only way to reintegrate Donbass into Ukraine and thereby bring the war there to an end in a manner favourable to Ukraine is through constitutional reform which would give Donbass some sort of special status (i.e. autonomy) within Ukraine, combined with an amnesty for all involved. This is in effect what was promised in the Minsk II agreement of February 2015. To date, Poroshenko’s government has not only failed to make concessions of this sort. but has also done its best to make it impossible for future governments to do so, by means for instance of a law redefining the conflict in Donbass as a war against the Russian Federation. It is precisely a fear that Zelensky will change direction that inspires the hardliners’ dislike of Ukraine’s likely future president. Ukrainian presidential candidate Volodymyr Zelensky has said Donbas does not need to be granted any special status. … Zelensky also said that, if elected president, he is not going to sign the law on amnesty for the militants of the so-called ‘Donetsk and Luhansk People’s Republics’. Since these are two absolutely necessary conditions for any peaceful settlement of the war in Donbass, this pretty well nixes the idea that Zelensky is the ‘peace candidate’. Further evidence of Zelensky’s future policies towards Donbass can be seen also in a statement of the first ten steps he plans to take upon taking power. Number one is ‘invite the United Kingdom and the United States to join the Normandy format’ – in other words to join the process which is meant to negotiate how the Minsk agreements will be put into practice. The Normandy format, like the Minsk agreements, are pretty much dead. But bringing the UK and the USA into the peace process is about the last thing you’d suggest if you were truly interested in bringing them back to life. Not only are those countries the two states in NATO (perhaps barring Canada) which are the most resolutely hostile to Russia, but they have also shown not the slightest interest in persuading Ukraine to make the concessions required to fulfil its obligations in the Minsk agreements. On the contrary, the Americans have very much pushed Ukraine in the other direction. Take, for instance, the American response to Vladimir Putin’s proposal for a peacekeeping force in Donbass. 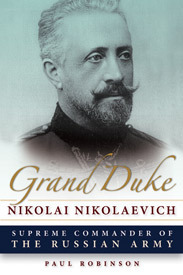 Whereas Putin proposed a force which would be deployed along the front line and physically separate the two warring parties, the Americans, through their representative Kurt Volker, have suggested creating a force which would occupy all of rebel-controlled Donbass, take over the rebel republic’s borders with Russia, and disarm rebel formations, all before any political reforms (such as granting of autonomy) are enacted. This plan turns the order of events laid out in the Minsk agreement on its head, and in effect amounts to an abandonment of the agreement and to the rebels’ total abject surrender. For that very reason, it has no hopes of succeeding. Ukrainian politicians do not yet seem to have grasped the need to compromise, and the Americans in particular have encouraged this blindness. Bringing them into the peace process only makes sense if you have no intention of making concessions yourself and see the solution as lying entirely in pushing things in a more hardline direction through increased pressure on the Russian Federation. The fact that Zelensky has proposed this tells us a lot therefore about his attitude towards Minsk and the peace process more generally – namely, that at this point in time, he’s very much not somebody who’s prepared to do what needs to be done to obtain peace on terms favourable to Ukraine (i.e. see Donbass restored to Ukrainian control). Instead, based on his current statements, we are more likely to see a continued insistence on the absolute capitulation of the rebel forces and the Russian Federation. The result will be that the conflict in Donbass will continue to dribble along at its current low level for the indefinite future. Of course, the things politicians do once elected often differs from what they promise during elections. And much may change during Zelensky’s presidency which may push him in a different direction. For now, though, the idea that his election will do much to accelerate the arrival of peace in Ukraine seems a little far-fetched. This blog returns regularly to theme of disinformation, drawing attention to the fact that the most prevalent sources of disinformation in any country are domestic, not the product of ‘foreign meddling’. For instance, whatever ‘fake news’ Russian bots may have placed on the internet prior to the 2016 American presidential election pails into insignificance with the daily well-publicized deluge of nonsense which came out of the mouth of candidate Donald Trump. Brexit didn’t happen because of ‘Russian interference’, but (among other things) because of the deceitful claims of pro-leave British politicians, such as the notorious claim that the UK would be able to spend 350 million pounds more a week on the National Health Service if it left the European Union. And so on. When you’re looking for disinformation, it makes much more sense to look close to home than somewhere in far off lands. There’s some lessons to learn for Canadians. I think Ukraine’s on the front line, and there’s a wake-up call that anybody’s election, including ours in six months, could be altered, disrupted or problems could be created in terms of disinformation if you’re not very watchful about it. Just attended a fascinating discussion on Russian disinformation efforts in Ukraine. We Americans could learn a lot from our Ukrainian colleagues. Various Ukrainians are keen to support this perspective. ‘While unique, Ukraine’s experience holds broader lessons for how to tackle these emerging phenomena [i.e. disinformation],’ writes one. ‘Britain may well face more of such challenges in the future – it should learn the lessons from Ukraine if it wants to deal with them effectively,’ says another. Amid increasingly fierce competition, the big guns are coming out: negative campaign ads, so-called ‘black PR,’ and online disinformation. … ‘I think there’s a lot of playing hard and fast with the rules of the information space,’ says Nina Jankowicz, a Global Fellow at the Kennan Institute and an expert on disinformation. … ads and social media posts intended to mislead and scare voters have come to play a central role in the presidential race. a website with ties to the Ukrainian security agencies has accused the Zelenskiy campaign of receiving financing from the Russian security service and a Russian-backed militant who fought in Ukraine’s occupied Donetsk Oblast. … social media users have long complained of facing harassment from porokhobots — i. e. Poroshenko bots — who vocally defend the president. Some, they allege, are not just ordinary citizens expressing their honest opinions, but paid ‘trolls.’ … In late March, the 1+1 television channel broadcast a program which accused Poroshenko of corruption and implied he had killed his own brother. … On April 10, an organization associated with Poroshenko sent subscribers to its messenger app accounts a video which showed Zelenskiy being hit by a garbage truck and strongly implied he was a drug addict. … In the last week, at least two entities have published information suggesting that the Zelenskiy campaign is tied to or receiving financing from Russia. So far, however, domestic disinformation has largely overshadowed foreign. ‘I think most of the disinformation that we can confirm was actually distributed by the campaigns themselves and by domestic Ukrainian actors for political purposes,’ Jankowicz says. Perhaps, then, Axworthy and McFaul are correct after all. Ukraine does have something to teach us about the role of disinformation in democratic elections, namely that it’s widespread, and that for the most part it is produced domestically, and not abroad. The Canadian Security Establishment (CSE) produced a report a few days ago highlighting the threat from ‘foreign interference’ in Canadian elections. I will comment separately on this in a few days’ time but, dare I say it, if CSE and others are really concerned about the integrity of our electoral processes, they’re looking in the wrong direction. Every so often, the Institute of World Economy and International Relations (IMEMO) in Moscow publishes a forecast of where Russia and the world are headed in the near future. At the end of last year, the Institute of International Relations in Prague published an English-language version of the latest IMEMO forecast in its journal New Perspectives. Now the journal has issued a set of responses to the forecast by several Western scholars and a member of IMEMO. They’re worth a brief look. A common theme runs through all the responses. The authors all agree that when analyzing current East-West tensions, Russians have a tendency to see their own country as essentially reactive – that is to say that they portray Russia as simply responding to Western provocations. In doing so they deprive Russia of agency, and so deny that it may be in part responsible for the current crisis in Russian-Western relations. Instead, the West is held to be entirely at fault. Likewise, Tuomas Forsberg of the University of Helsinki accuses the Russians of ‘attribution bias’, which ‘conveys the image that the criticism of Russia in Europe is mainly an outcome of malevolent intentions and not related to Russia’s own behavior.’ And Ruth Deyermond of King’s College London speaks of a ‘strengthened perception amongst Russian analysts and politicians that the US political establishment is irredeemably Russophobic’ and notes that Russian elites view foreign affairs through a ‘prism of grievance’. I have some sympathy with these complaints. As IMEMO’s Irina Kobrinskaya writes in the final article in the journal, ‘While external factors certainly act on Russia, Russia also acts.’ Portraying oneself always as responding to the actions of others is a useful way of declining responsibility for one’s own behaviour, but also self-deceptive and liable to prevent one from a proper analysis of why one has ended up where one has. If Russians persist in viewing themselves solely as victims, then they’re unlikely to come up with constructive solutions to their problems. the Russian state merely reacts to an antagonistic partner defined by ‘anti-Russian hysteria’, and nothing is said of where that sentiment, however exaggerated or unfair, emanates from. Whilst the roots of the ‘Russia factor’ lie in both past stereotypes and strategic needs, Russia’s own actions are also clearly part of the cause. The current desire, and/or reflex, to cast Russia as an external enemy is strong in liberalWestern epistemic circles. Unwanted domestic political developments are often connected to Russia based on circumstantial evidence, and/or a reduction of the agency of others. Regular readers of this blog will hardly be surprised to learn that I completely agree. I would say also that it’s not enough just to understand that one has committed mistakes. Returning to the attribution error, it’s all too easy to designate one’s own misdeeds as ‘mistakes’ while attributing the misdeeds of one’s adversaries to their malignant character. Critical introspection has to go beyond admitting error and also involve admitting wrongdoing. The only caveat I would add is that in engaging in this critical introspection one shouldn’t overdo things. It’s one thing to understand that one’s own side has behaved badly; it’s another to then conclude that one’s own side is always wrong and the other side always right, and end up going full-blown Noam Chomsky or Gary Kasparov (a comparison which is probably a bit unfair on the former). Every now and again I come across something I wish I’d written myself. ‘Mutual lack of critical introspection’ is a case in point. It hits the nail firmly on the head. I’ve been accused of being an extreme centrist. Or was it a centrist extremist? I can’t exactly remember. But as far as I could make out, the point of the accusation was that this blog is just too balanced, that I bend over so far backwards in my attempts to be even that all I ever say is ‘on the one hand, on the other hand’, relentlessly occupying the middle ground, and refusing to take a firm stand on anything. Russia isn’t the evil dictatorship it’s made out to be, but it’s not all warm hugs and cuddles either. The war in Ukraine isn’t just Russian aggression, it’s a civil war, but the Russians are in it up to their necks regardless. That sort of thing. The same accusation might plausibly also be laid against Richard Sakwa of the University of Kent in the UK. Sakwa is one of the most prominent Russia experts in the English-speaking world, being the author of numerous books on Russian politics, including astandard undergraduate textbook on the subject. I suspect that in general Sakwa’s politics are a little to the left of mine, but when it comes to things Russian I find that I agree with him 99% of the time. I was rather pleased, therefore, when his latest book Russia’s Futures arrived unprompted in my mailbox recently. I immediately buckled down to reading it, and I wasn’t disappointed. Time for a Zemsky Sobor? British politics are at a total impasse. Having earlier this week rejected 8 alternative solutions to the problem of Brexit, the House of Commons has now for a third time also rejected the withdrawal agreement signed by the British government and the European Union (EU) to allow the United Kingdom to leave the EU. At this point, many Brits are unsurprisingly fed up with the whole affair, and just want a decision, however rotten it might be, just to get it done. The House of Commons, however, has proven what I said earlier in the week – that it is utterly incapable of reaching a decision, any decision. So how can Britain get out of this mess? The most obvious solution at this point is a general election. Since the current complement of the Commons can’t agree on anything, it’s clear that the makeup of the Commons has to change. That means an election. As an election would mean putting off a decision on Brexit for some time, a prerequisite is a long Brexit delay. Under the terms of the failed withdrawal agreement, a final settlement on the post-Brexit EU-UK relationship was to be signed by 31 December 2020. It would therefore make sense to postpone Brexit to that date and work on agreeing not just the withdrawal terms but also the final settlement by that time. Step one, therefore, needs to be a long postponement. Step two needs to be a general election. The problem with this solution is that it assumes that a new House of Commons would be better able to reach a decision than the current one. It’s certainly obvious that it can’t be any worse in that regard, so this solution is worth a try, but it’s far from a dead cert. Given that public opinion in the UK is almost equally split on the Brexit issue, an election may just end up reproducing the existing balance of forces in the Commons. This is especially likely because the two main political parties – Conservatives and Labour – are themselves split and not capable of giving voters a clear choice vis-à-vis Brexit options. For voters to have that choice, the existing party system would have to be destroyed and the election fought between entirely new forces. That isn’t going to happen. So this option should be tried, but I’m not confident that it will work. If it doesn’t, what then? At that point, I think, the only way forward will be to seek a way of forcing the Commons to accept some solution – whatever it may be – by going over its head to the British people. But commentators who propose this seem stuck on the model of a referendum. This isn’t a good method. A referendum requires a clear question on a limited number of options, ideally just one. But solving Brexit requires discussion of multiple, complex options; and not a simple ‘yes, no’ answer, but a degree of compromise between solutions. A referendum can’t provide this. A different method of providing a ‘people’s vote’ may therefore have to be found. One possibility would be some form of constitutional convention. And here perhaps the ancient Russian model of the Zemsky Sobor comes in useful. A Zemsky Sobor traditionally represented all estates of the Russian people. Political parties were not involved in the process (a necessary requisite for success in the Brexit instance, I suspect). And though the Zemsky Sobor was purely consultative, and had no official political authority, its legitimacy was such as to give its recommendations great power. Such a consultative assembly would, of course, be entirely outside British constitutional convention. But it seems to me that at this point Her Majesty the Queen might be entitled to conclude that the people’s representatives have failed both her and the people, and therefore feel entitled also to find a different way of making the people’s wishes known to her in a manner which bypasses the existing power structures. Would it work? I have no idea. But as they say, desperate times call for desperate measures.